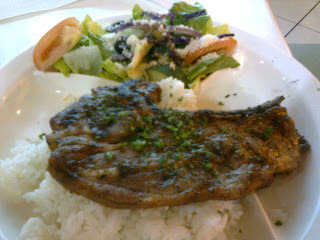 Last February 16, 2010 Tuesday, Ian fetch me up in our office because I feel dizzy due of my severe cough and colds. Ian make sure that I still have enough energy to try our favorite past time, FOOD TRIP. It's Tuesday again and of course, we need to try new dishes in new restaurant of course. While scrolling around glorietta 4, we notice new stall in the rear area. When we look at it, we noticed lots of people fall in line just to make orders and try the new bistro. Ian convinced me to try greek food. 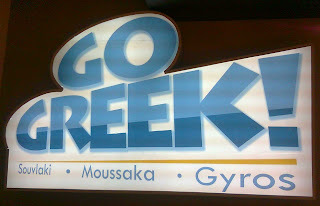 This will be our first time to try greek dishes. 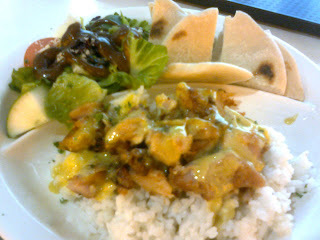 While checking to their menu, I finalized my order; I go for Gyro Chix Platter. Actually, I cannot say anything good or even bad things about the food; my only regret is that my taste buds are not good at all so I don't even know the real taste of what I had ordered. Maybe I'll try it again next time. Ian ordered Lamb Platter which is actually enough I think for 2 persons, however, we keep on waiting for almost 10 minutes to serve the food. 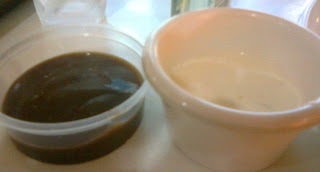 The food is good, I can taste a little bit since it includes sauce that makes the Lamb tastier. 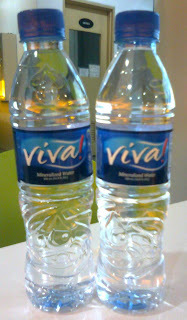 Then, since we are both not feeling well and need water to ease our thirsty, we decided to have bottled water. We ended up with full stomach but not that pleased at all since we are both unsatisfied not for the food but the feeling of faintness we feel. We promise that we will try it again once we are both in good conditon.